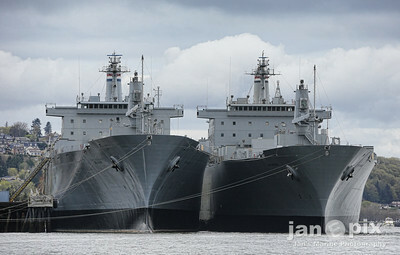 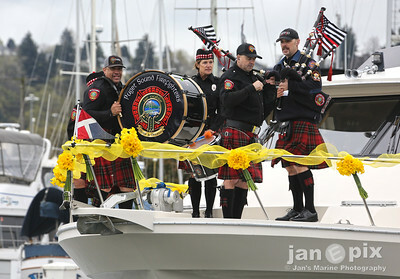 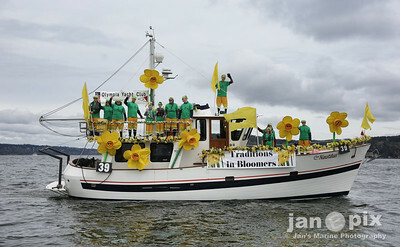 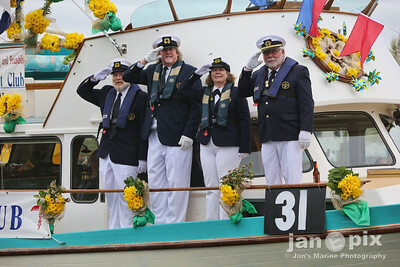 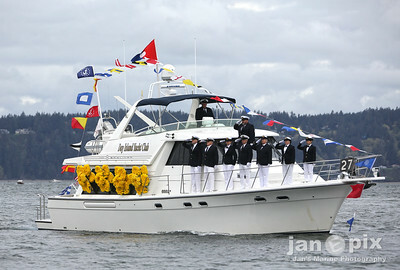 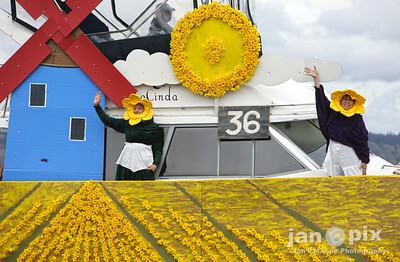 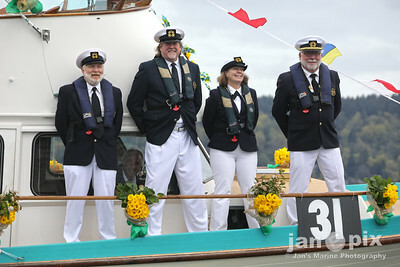 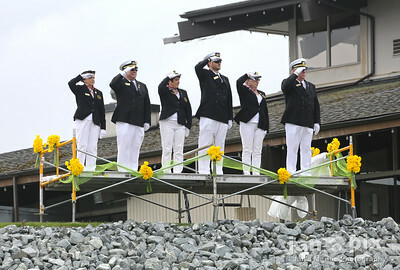 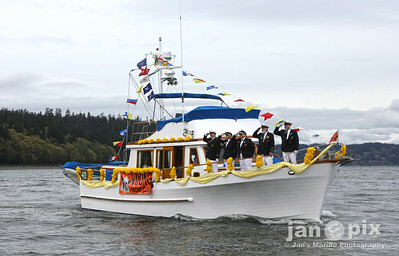 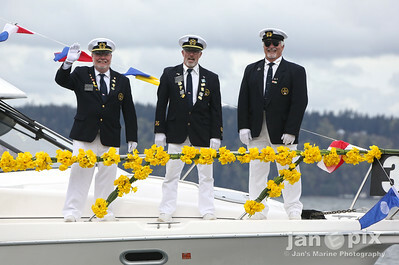 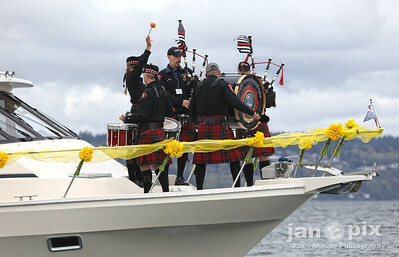 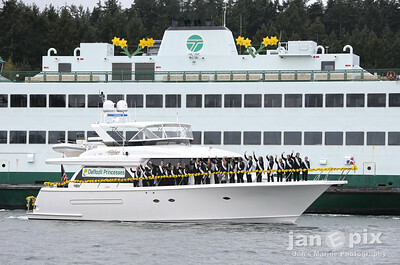 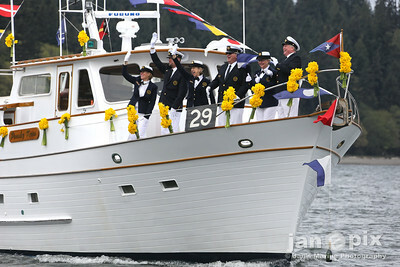 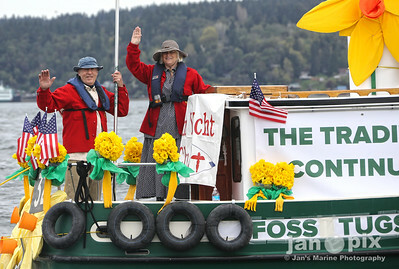 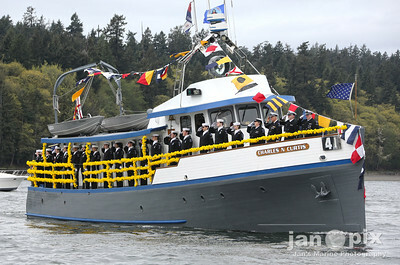 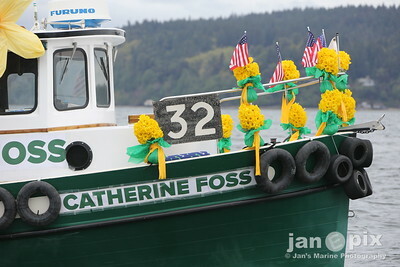 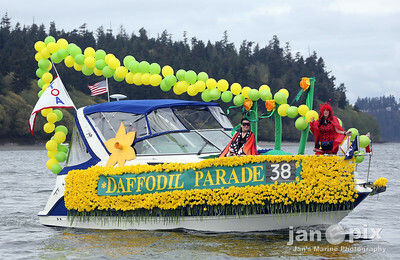 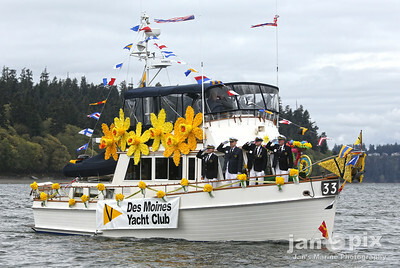 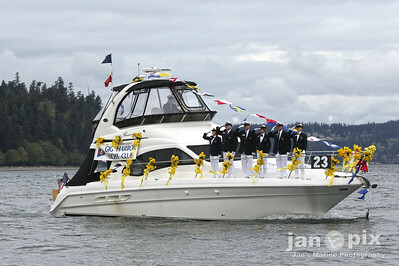 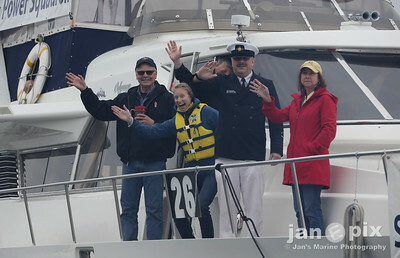 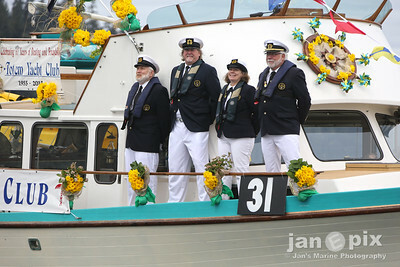 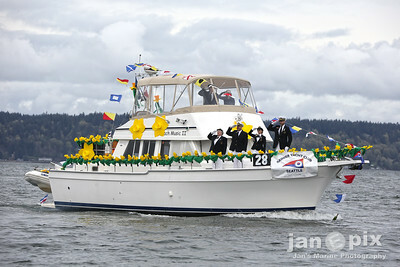 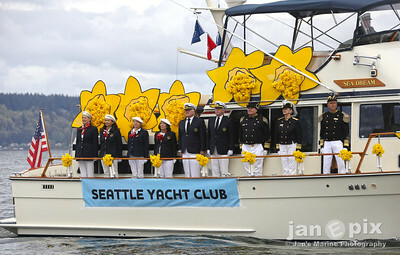 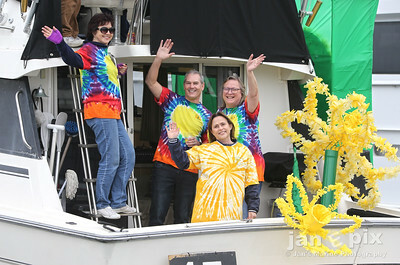 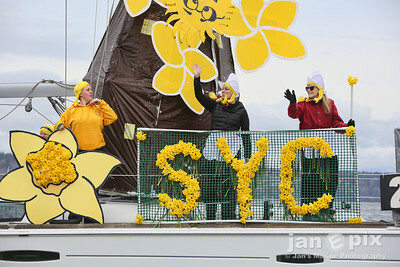 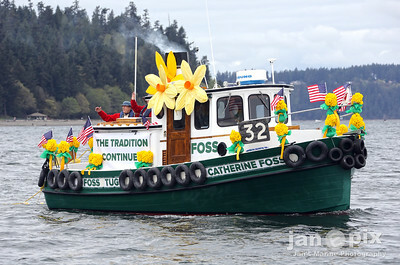 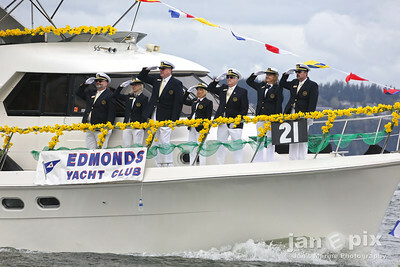 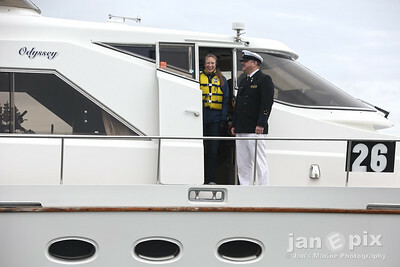 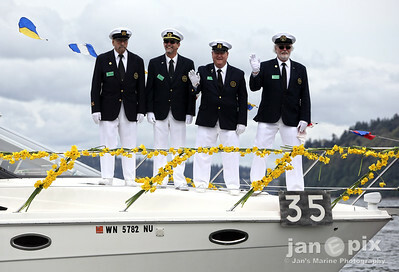 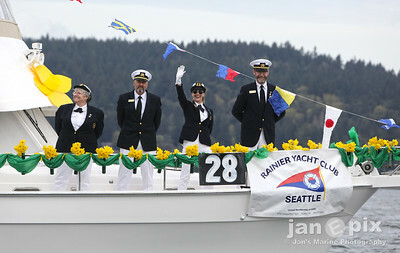 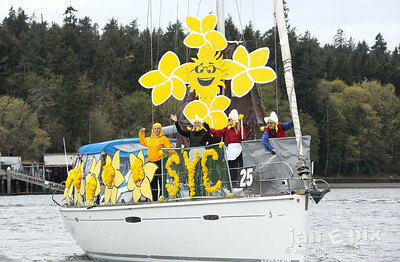 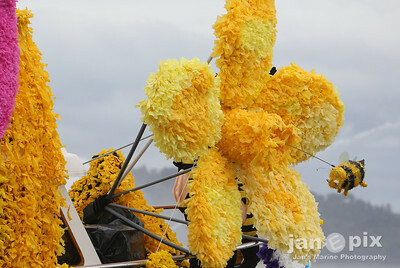 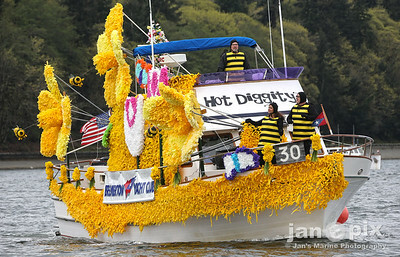 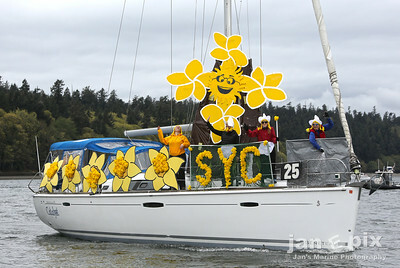 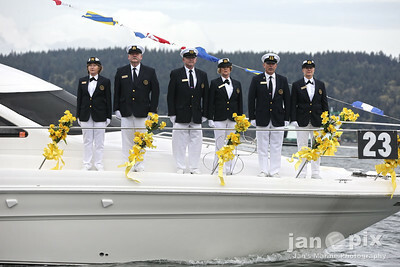 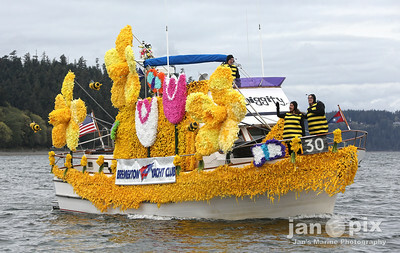 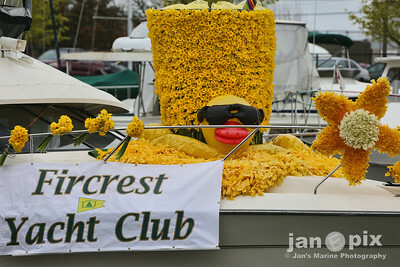 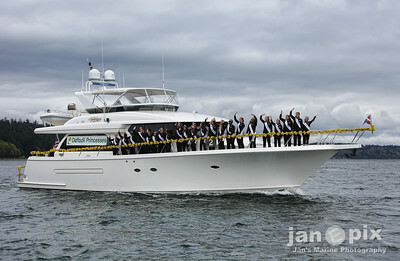 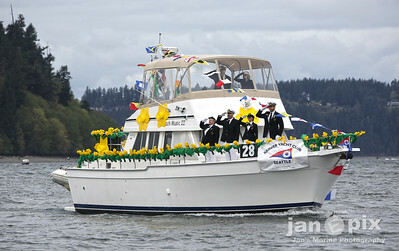 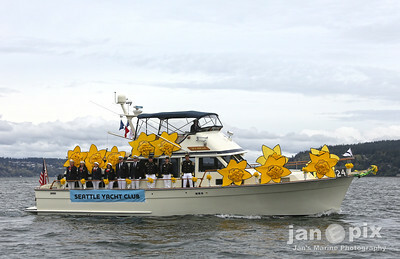 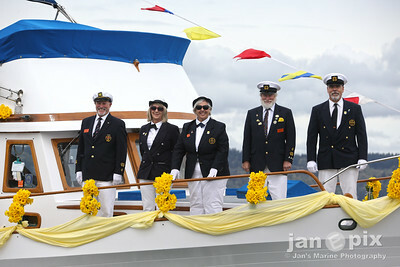 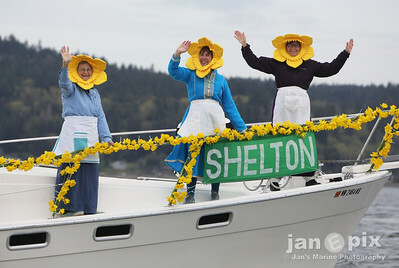 Oh, another year, another zillion yellow flowers (or gigantic replicas thereof), certainly some distant connection to historically proper yachting, a wide range of types and volumes of music, imaginative crew gyrations, gestures and outfits, plus a shoreside display of faux decorum that defies explanation. 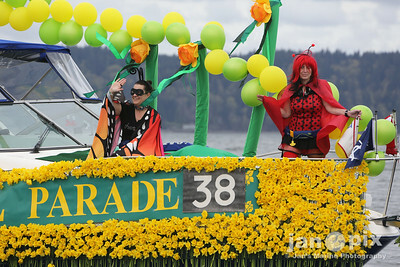 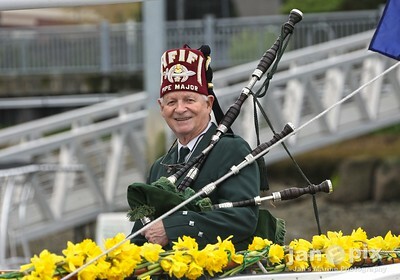 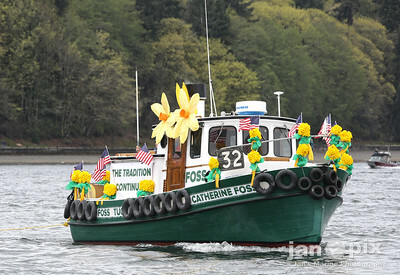 Yup, the 2018 Marine Daffodil Parade is now officially in the books, and all on a day that the Rain God smiled on Tacoma, essentially to give us a break. 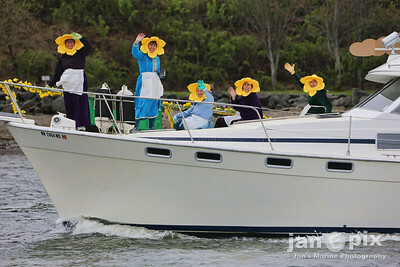 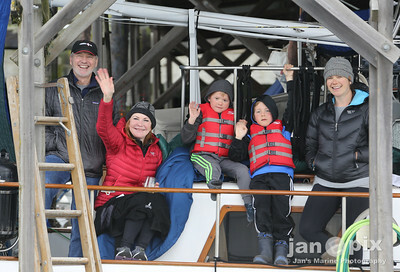 Enjoy these photos … we were largely intrigued by the appeal of such an event, and so captured the essence of this Tom Foolery as best we could. 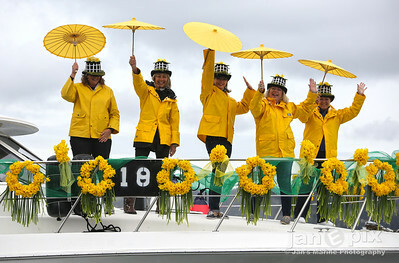 Well done, all (we think).